With the version 2.2.235542.0 update, users can now view all their Alexa-enabled devices and groups on one screen. Previously, users had to switch between tabs to access the devices. Amazon’s Alexa app has had a makeover empowering users to easily set up as well as control their Alexa-enabled devices, listen to music, create shopping lists, get news updates, among others. Amazon says that more people use Alexa, the Artificial Intelligence (AI)-powered virtual assistant, the more she adapts to a user’s voice, vocabulary and personal preferences. The company has also updated the page on Apple App Store and the Google Play Store. “New updates to the Amazon Alexa App make it even easier to set up Alexa-enabled devices and get more out of Alexa. Monitor and control multiple smart home devices at home or on the go, keep in touch with Drop In or connect with your Alexa contacts,” the company said in the updated app info on both the platforms. On the App Store, the company says has added another capability of adding bluetooth speakers to Multi-Room Music groups. An overhaul of the app was expected because Alexa-powered gadgets are have more than one owner. As per a Nielsen report on smart speaker adoption, four out of 10 smart speaker owners in the US have more than one device, for example. Smart home device sales are also expected to reach nearly $96 billion in 2018 and grow to $155 billion by 2023, TechCrunch cited a report as saying. 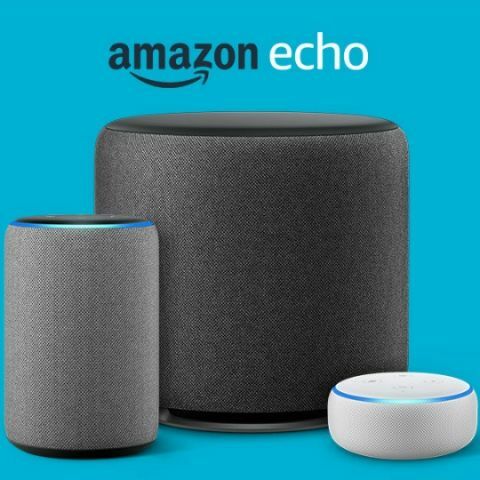 Recently, Amazon announced a number of new Echo devices, including new a Echo Dot and Echo Plus with fabric designs, the long-rumoured Echo Auto for vehicles, a Chromecast Audio-like device called the Echo Input, an Echo Subwoofer, Echo Amp, the second-gen Echo Show, an Echo Wall Clock, improved security features in the form of Alexa Guard, and an Amazon Basics Microwave, smart plug which can be controlled through Echo speakers. Alongside the new range of Echo devices, Amazon also launched a new Fire TV Recast, a DVR that lets users watch and record live OTA TV at home and on mobile devices. In the first quarter of 2018, analyst company Canalys reported that Google beat Amazon to first place in smart speaker by selling 3.1 million Home devices as compared to 2.5 million Amazon Echo. In another setback, The Information had claimed that nearly two percent of the people with devices that use Amazon’s Alexa AI assistant, which is mostly Echo speakers, have made a purchase with their voices so far in 2018. Amazon sold 50 million Alexa-capable devices since its launch till August hoping that the users would use the devices to shop online but the company’s hopes were shattered when the executives learnt that there were few takers of this concept. The news website says that two persons briefed on the company’s internal figures. “Of the people who did buy something using Alexa voice shopping, about 90 percent didn’t try it again,” one of the persons was quoted as saying.